On International Holocaust Memorial Day we should remember the resistance that organised itself in Nazi death camps. In summer 1944, Antonia Lehr and two of her friends were deported from Vienna to the Auschwitz concentration camp. Posing as a foreign worker recently married to an Austrian, Lehr was in reality a Viennese Jew and a Communist militant, specialising in dangerous propaganda work among German soldiers in Paris. Her two companions were also Communist underground activists. They had collectively received the death sentence for organising Austrian antifascists and, as national traitors, they considered themselves finished. But when the trio was later moved to Ravensbrück — a women’s camp with a high proportion of condemned political inmates — communication from the Auschwitz resistance organisation informed the local cell of their special status as seditious Jewish Communists. False identities were created for them and they were successfully “vanished” from the camp. Antonia Lehr and her comrades were saved not by chance but as a result of the highly-organised underground resistance developed from the camp’s beginning. This experience, unusual within a general context of the Holocaust, was not so within the history of the antifascist movement operating behind the wire. By this point, the Nazi leadership had already decided to eliminate the Jewish population of Europe. Nazi architect Karl Bischoff accordingly planned and realised Birkenau’s four crematoria, a new reception building, intentionally-overcrowded barracks, and a complex shower system to be built for the destruction and disposal of prisoners. As inmates of other camps arrived, the disarray and mass murder of the ‘new camp’ was striking to them, as was the atomisation and hopelessness of the terrified inmates. The first underground organisation began with the first Polish inmates, a core of military figures hoping to organise a structure from within. The Polish cavalryman Witold Pilecki arranged to be intentionally arrested in September 1940 with the intention of developing this military cadre in Auschwitz. The group’s objectives were the dissemination of news from beyond the camp, procuring extra food, and creating other Polish military cells. However, the politics of this initial group could not be considered unambiguously antifascist. Polish historian Józef Garliński belonged to this milieu, and while he wrote of how his experience in Auschwitz “cured” him of any prejudice towards Jews, there is little doubt his seminal work Fighting Auschwitz significantly minimises the antisemitic outlook of many of his comrades and the indifference with which they treated other prisoners. Among their ranks was the notorious Alfred Stossel, who undertook an SS role of killing the infirm and unwell (as well as healthy Jewish prisoners) by injecting poison into their hearts. Spanish Republicans mirrored the Poles as a sizeable and distinct national grouping in the camps, though unlike the Poles the rouge Espagnol had clearly defined antifascist politics. The attack on the Soviet Union on June 21, 1941 motivated the creation of their resistance and solidarity organisation. While declaring similar aims to the Poles, the Spanish group was more clearly political: emphasising the importance of democracy and the antifascist struggle. KGA leader Hermann Langbein photographed in Auschwitz. Upholding the Comintern’s Popular Front strategy in Auschwitz, they reached out to previously-chastised Social Democratic Party (SPD) members, accumulating further influence in a camp where terror loomed large and politically principled elements were thin. A huge organisational coup came with the arrival of Józef Cyrankiewicz, a Krakow social-democratic leader sympathetic to the Communists, as well as Austrian social democrats far to the left of their sister organizations in Germany and elsewhere. It was in this context that, in early 1943, several representatives of different leftist resistance formations established Kampfgruppe Auschwitz (Combat Group Auschwitz, KGA) in Block IV of Auschwitz I.
Johann Hirschtritt, a Jewish Communist once active in the Rote Sprachrohr (Red Megaphone) theater troupe and imprisoned since 1936, described the organisational form of the KGA: it consisted of a “solidly-organised core” and “a more nebulous periphery of men who could be asked to perform certain tasks or join in certain collective actions.” The first KGA leadership was restricted to four; two Social Democrats and two Communists, reflecting the participation of the two workers’ parties, although in fidelity to Popular Front tactics of incorporating “all progressive bourgeois forces,” several Christian Democrats were also involved. Resistance groups were organised in small cells totally detached from each other, with militants receiving orders and directives only through intermediary contacts. International fraternity was crucial for the KGA, rejecting Nazi-imposed national divisions and transcending organisational sectarianism. “Only solidarity, international cooperation, and the fight for freedom give us the right to regard ourselves as fellow fighters against the misfortune that Hitler’s Fascism has brought all over the world,” declared one statement in summer 1944. Quickly, the camp committee absorbed the national groups of the Spanish, Yugoslavs, French, Czechs, Romanians and Germans, including many individual Jewish socialists and communists. This stance was a principled opposition to the workings of the Polish resistance movement, which was “nationally-conscious” and broadly suspicious of Jews, Spaniards, and Russians. Cyrankiewicz, the social democrat and KGA leader is credited consistently in testimony by resistance fighters for his active intervention against Polish chauvinism. He used his authority among resistance fighters at liberty in Krakow to politically isolate fellow inmates demanding amenities from outside sources for Polish use only. German KGA militants in positions of responsibility also made the point of going an extra mile for Russian prisoners, ruefully aware of anti-German suspicions Russians who had faced the Nazis would harbour. 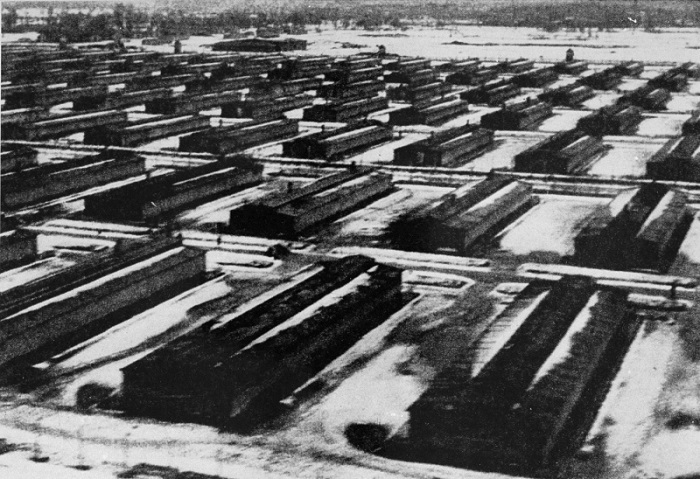 An aerial photograph of the layout of the Auschwitz II-Birkenau camp. While Auschwitz was partially a labour camp for German industry, those with employment were consistently reminded of their expendability by arbitrary murder and the regular arrival of replacements. It was clear to the KGA that a fundamental task was to tackle the atmosphere of defeatism — although due to high levels of repression it could only meaningfully achieve this within its own ranks. Above any other strategic concern the raison d’être of the resistance was survival — the KGA provided a psychological and social anchor that bolstered individuals against accepting their fate. The clarity of a political line to navigate the horrors they were witnessing, a greater chance of good rations and increased work protection, the self-esteem and dignity received by resisting injustice and being coherently organised — none of these aspects can be underestimated when considering the spiritual resources of survival among political prisoners in Auschwitz. Education was as important to leftist groups inside the camps as it was in civilian conditions, with resistance methods justified by socialist and humanist reasoning, and Marxist discussion circles reading copies of smuggled literature. The KGA took advantage of ideological-economic friction within the Nazi bureaucracy over how much camp labour should be maintained. As Auschwitz expanded, the camp authorities increasingly relied on prisoner authorities’ wisdom, broadly unaware of the influence of organised resistance. In camp hospitals and labour assignments, where KGA militants attempted to place their comrades, prisoners employed in clerical duties saved lives by altering lists for particular labour details, prisoner transfers, and so on, while KGA hospital orderlies could persuade certain camp administrators and SS doctors to limit the killings or prevent excessive murder. This particular effort produced some success — by July 1943, the mortality rate at Auschwitz (not including those exterminated upon arrival) fell to 3.5 percent from over 20 percent in the winter of 1942-43. The KGA also excelled at accumulating facts and figures of Nazi atrocities. Their logic for this particularly risky activity was that, at some future time, there might be political justice. Cyrankiewicz’s former resistance group in Krakow preserved 350 pieces of correspondence from the KGA, which make for compelling reading. Reports then reached London with surprising ease, containing statistics and information about camp developments, mass executions, and the nature of its industry. This work deeply worried the Nazi administration; a KGA communiqué broadcast on the BBC directly threatening the Auschwitz SS was met with alarm, resulting in several name changes and widespread fear. The KGA even arranged cameras and film to be smuggled into Auschwitz. 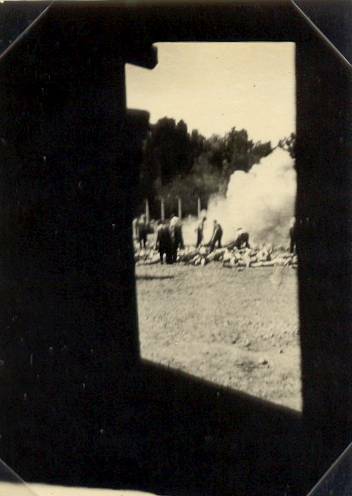 Greek partisan Alberto Errera and International Brigadier David Szmulewski worked together to take clandestine took photographs through holes in a pocket showing bodies being burned next to a crematorium, some of the only images of the camps created by prisoners themselves. The KGA planned to escalate from survival to armed revolt only at the point that weapons had been acquired and extermination of all prisoners was the policy of camp authorities. Outside of these conditions being in place, the idea received scant enthusiasm for fear of immediate collective reprisal. Although they were unable to prevent the mass extermination of Jews in Auschwitz, maintaining an organised resistance, let alone a kind of counter-government, counted as a success. Alberto Errera and David Szmulewski’s clandestine Sonderkommando photographs were some of the earliest taken of the camp’s activities. In total, fewer than thirty Sonderkommando survived the Holocaust, with ‘generations’ of workers routinely executed in order to remove living proof of Nazi crimes. The objective of survival was meaningless for those who attacked the Nazis on October 7. However, the moral question of death and decision-making in the resistance was raised again following the onset of the Cold War. A debate on the role of the Left in concentration camps emerged, with many finding it easy to criticise the resistance’s morality, its involvement (or the loaded term “collaboration”) with camp administration and their mutual aid which ensured the survival of political allies above other prisoners. Such judgments were easily rendered by those who did not experience life in the camps. “Against such incredible atrocity, what moral stand could be offered but total, and suicidal, resistance?” This was a perspective which some found appealing. What was the greater morality: for “politicals” to attempt to use the mechanisms of the camp apparatus, or to cede the terrain and face for themselves and others criminals operating with predatory logic utilising that same apparatus against them? Simone de Beauvoir furthered this logic in The Ethics of Ambiguity arguing that, once one is placed in an utterly inescapable situation of grave atrocity, “the only thing to do was to try, as far as possible, to rationalise it.” Spurning the possibilities of formal influence would have been a true affirmation of hopelessness and futility, a liquidation of the politics the Third Reich tried to wipe out and a greater victory still for Nazism. Against perspectives that deride collective organisation among inmates under the weight of the indescribable event that, as Elie Wiesel said, “lies outside, if not beyond, history,” it is worth finishing with the defence of resistance made by Hermann Langbein, of the KGA leadership. 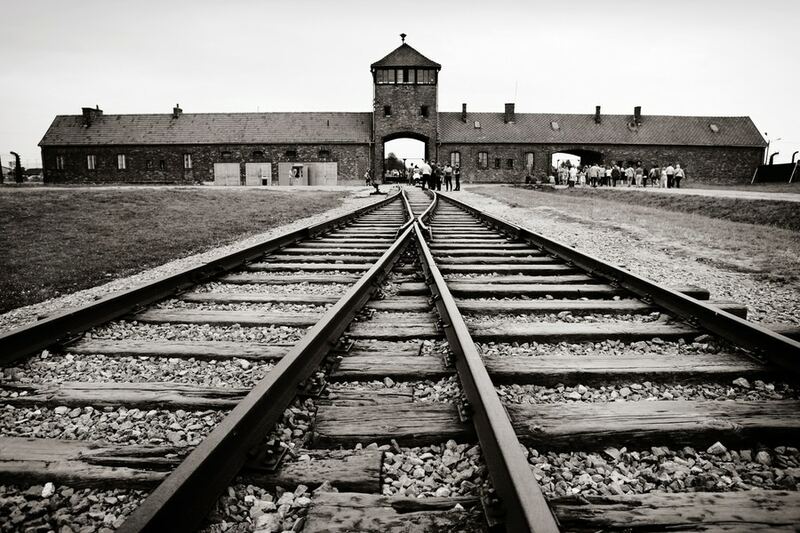 The KGA did not, he acknowledged, destroy Auschwitz, or save so many Jews from extermination, but it did have the ability to alter the immediate destiny of the camp. In organising for survival, passing information to comrades on the outside, and saving vulnerable comrades within, in plotting for insurrection and for justice in postwar Europe, they were, he said, not merely objects in the cruel narrative of National Socialism but fighters for life in the century’s midnight.